The Zeus Studio Bus is Tiptop Audio’s next generation of the Zeus Eurorack power system. The Zeus Studio Bus is Tiptop Audio’s next generation of the Zeus Eurorack power system and is the world’s only high-power system that can guarantee low noise with minimal bleed-through between modules for a clear sounding synth. The Zeus Studio Bus takes the next step to simplify wiring power into cases that scale from a simple 3U row, to complete walls of modular synthesisers, all done without dealing with hot AC power lines. 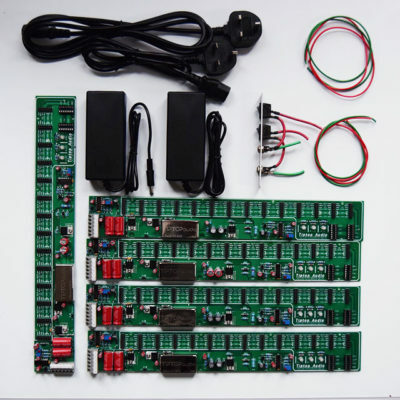 The Zeus Studio Bus board is equipped with fourteen Eurorack standard power connectors and two AS power connectors. Connecting wires to and from the board is done using a spring action connector, no special tools are needed. 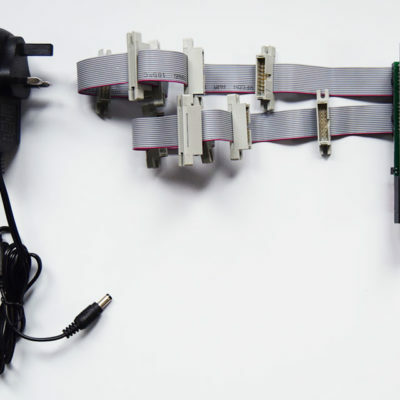 The connector allows for multiple points of connection, allowing for different types of power configurations, starting with simple daisy chains and up to professional multi-thread star wiring. At the heart of the Zeus Studio bus is a new design of discrete linear power regulators, aimed at providing robust, low noise, studio-grade power to deal with today’s growing challenge of a great selection of modules that must share the same power bus. And with an eye towards the future, the Zeus SB prepares you for the new wave of high-current digital modules. The Zeus Studio Bus board offers a total of 16 module connectors: 14 of them are 16-pin headers for connecting Eurorack modules and two of the connectors are for analogue system modules. The additional 5V voltage needed by some modules is being generated internally by the Zeus Studio Bus. Three LEDs show the active voltages 12V, -12V and 5V. 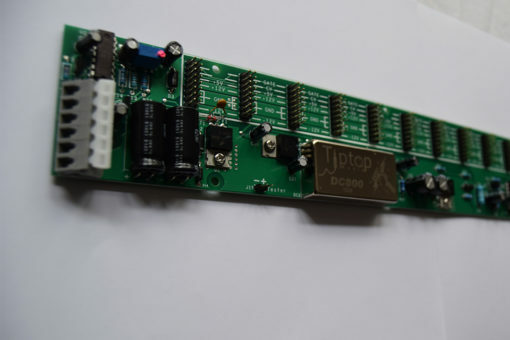 The maximal current per bus board is 1250mA at 12V, 800mA at -12V and 300mA at 5V. 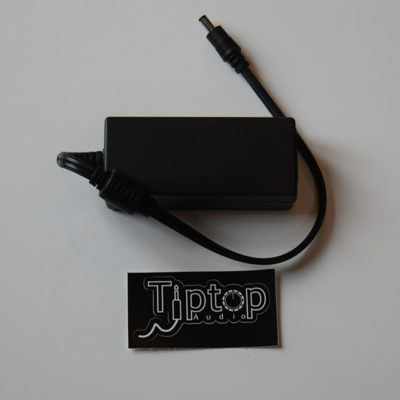 Tiptop Audio recommend the use of a powerful external power supply with 4.6A for providing up to three Zeus Studio Busses with power.